Night School, the racing industry’s free national online fan education program, welcomes legendary handicapping innovator, author and Washington Post and Daily Racing Form columnist Andy Beyer to Tuesday night’s all-important lesson on “Speed Figures.” The 15th of 40 lessons on the 2013 season will be an interactive, multi-media event featuring both a live chat and an audio-streaming simulcast with SiriusXM Satellite Radio. Fans can take part in the class free by visiting any one of the 40-plus websites that provides the Night School chats each week, or by listening in to SiriusXM. The audio portion of the program will be streamed free within the chat module as well. The 90-minute live event, which begins at 8:30 p.m. ET, will include an all-breed look at the impact and uses of “Speed Figures,” featuring guests such as Ed DeRosa of BRIS and Dave Siegal of Trackmaster. The applications to American Quarter Horse and Standardbred handicapping will be part of the lesson plan. Tuesday’s Night School will be the fourth such class to be simulcast with “At the Races with Steve Byk” on SiriusXM. 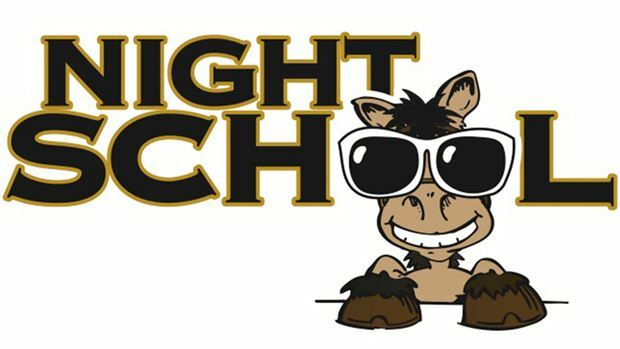 Night School attendees will be able to pose questions to all of the guests in two manners, either by the live chat module or by joining the “At the Races with Steve Byk” live call-in show at 1-866-454-6848. Night School’s Jeremy Plonk will co-host the on-air show with Byk. Those wishing to listen in on the radio can find the program from 8:30-10 p.m. (EDT) on Sirius 93, XM 209 or at Sports Zone 961 for Sirius Online users. For those who cannot attend live, the Night School archives always are available free, immediately following the session and beyond. The complete audio archive will be available on Wednesday. A Night School Big Event chat follows this Thursday, June 13, with a preview of this weekend’s important Stephen Foster Day program at Churchill Downs. Join in at 8:30 p.m. ET for expert handicapping analysis, race previews, past performances and more.